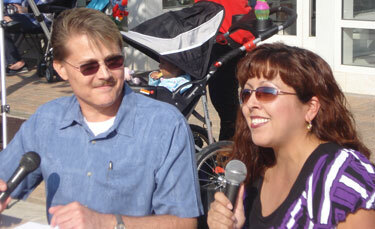 Ruth Leal announcing for the Founders Day Parade. 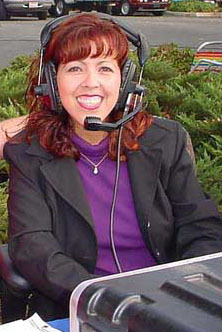 Bluesilver Video Productions is owned and operated by Ruth Leal. As the creative force, Ruth Leal has over 25 years experience in the video production field winning awards both locally and nationally. She graduated from California State University, Fullerton with a degree in Communications - TV/Film. Prior to creating her own company, she worked for local cable companies producing programming such as parades, performing arts shows, political forums, graduations, cooking shows and more! Her award-winning documentary, "After the Firestorm," recounted events from the 2003 Grand Prix and Old fires. Other videos, such as "Measure I" and "Route 210...A Road in the Right Direction" covered topics that interested the entire Inland region. Ruth is also the on-air talent for the City of Rancho Cucamonga's Founders Day Parade and the Rancho Cucamonga Public Library Telethon! Camera Operator Karl Morgan getting the perfect shot. 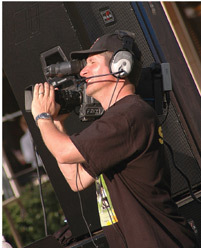 Bluesilver's cache of camera operators, audio engineers, editors, directors, and production assistants have a variety of experience and expertise. You may have watched a music video or documentary filmed by one of them! Camera Operator Steve Gute setting up to tape. Whatever the project, be assured that the professional staff will provide the highest quality of service you can expect from Bluesilver Video Productions. 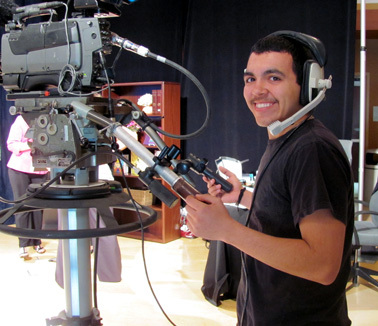 Production Coordinator Justin Leal at the Library Telethon. Bluesilver Video Productions is active in the community and is a proud sponsor of the Rancho Cucamonga Public Library Foundation's recent 2014 Library Telethon and participates in the broadcast of the City of Rancho Cucamonga's Founders Day Parade. 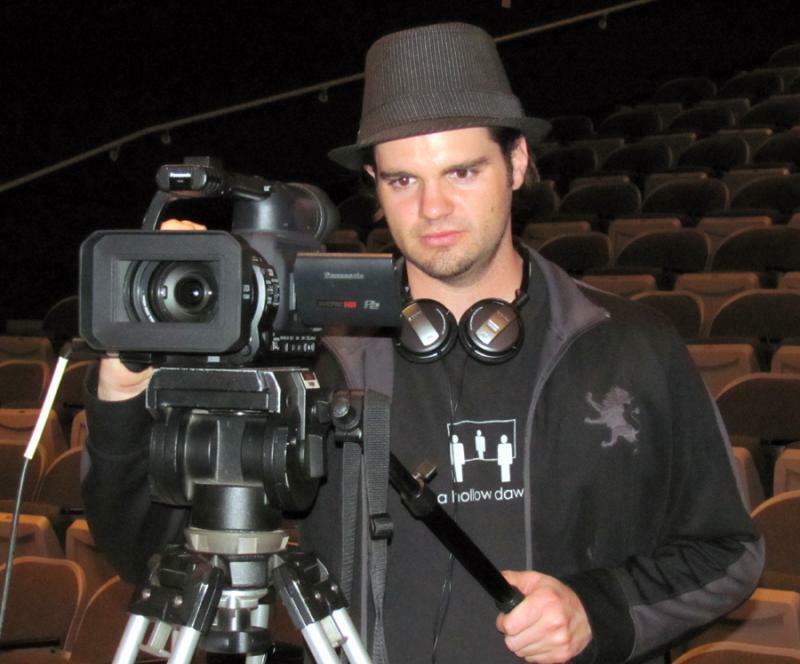 Bluesilver Video Productions is a proud member of the Rancho Cucamonga Chamber of Commerce.